home What is excelSavvy about? benefits Why do I need excelSavvy? functionality What can excelSavvy do for you? 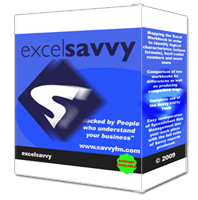 Initially the user should download and install the trial version of excelSavvy. 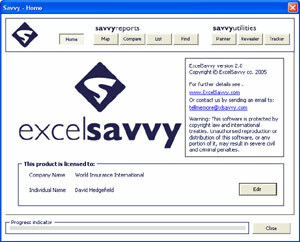 To purchase the licence for excelSavvy you must pay through Paypal after registering with excelSavvy. Following this your personalised software licence registration key will be sent to your registered email address within 24 hours after payment has been cleared.